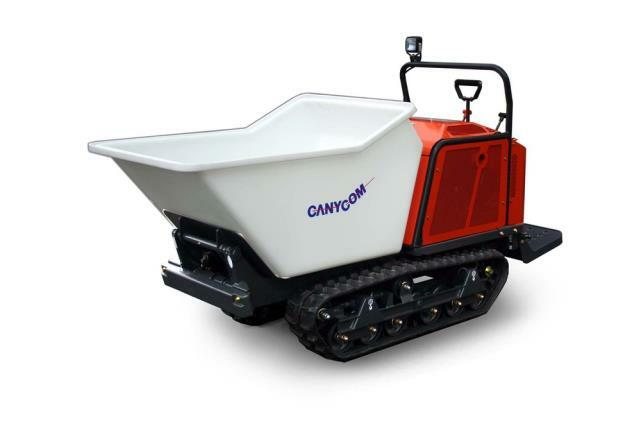 Concrete Power Buggy with a rubber track undercarriage transports concrete with ease over rough terrain causing minimal impact to the ground surface. Heavy duty rubber tracks offer balanced weight distribution to travel with ease over wet, muddy ground, rough, uneven terrain and loose sand and gravel. * Please call us with any questions you may have about our power buggy tracked sc75 rentals in Tacoma WA and Puyallup WA, serving the South Sound.